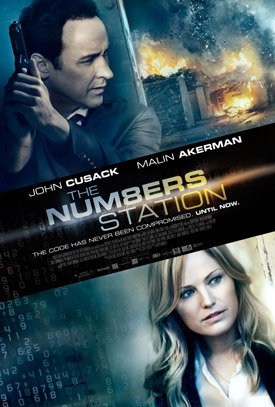 Movie Trailer and Poster for The Numbers Station. 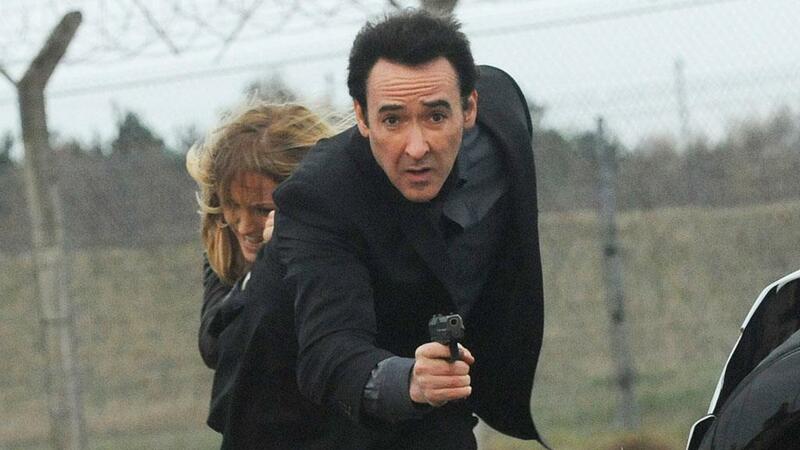 John Cusack, Malin Akerman, Liam Cunningham and Lucy Griffiths star in the action thriller. See the movie trailer and movie poster for The Numbers Station below. Black ops agent Emerson Kent (Cusack) and code operator Katherine (Akerman) in a remote CIA broadcast station find themselves in a life-or-death struggle to stop a deadly plot before it’s too late. MPAA Rating: (R) for violence and language. Emerson (John Cusack) is a disgraced former black ops agent who is tasked with a dead-end job protecting Katherine (Malin Akerman), the code operator for a small CIA broadcast station in a barren region. Emerson’s mission is simple: protect Katherine. Keep her safe and keep her secure. When a car bomb outside the station signals an ambush, the pair is forced to take refuge in the station itself, using Emerson’s deadly combat skills as their only weapon. Under attack from a group of unknown, but lethal aggressors, Emerson and Katherine find themselves in a life-or-death struggle against a resolute enemy. With the station compromised, an unclear target and no escape, the truth becomes their priority if they want to make it out alive.